I’m crazy about perfume. In one of my favorite books of all time- Gerald Durrell’s My family and other animals, the mother goes around looking for suitable burial sites for her when she dies. I know it sounds morbid, but I occasionally want to tell my family to bury me with mounds of fragrant flowers when I die. The Indian concept of perfume is more encompassing. Flowers in hair and scent all over, including in the home with incense. This appeared this week in Mint Lounge’s luxury issue. Read Rajeev Sethi’s piece on luxury as ‘pehchaan.’ Loved it. The man is a connoisseur with the soul of an artist. My friend, Mayank Mansingh Kaul, has also written a wonderful piece in the issue. Indian scent memory is about layering, with oils, herbs and flowers, all topped off with a fine sheen of talcum powder—or dust. We see it in miniature paintings and Bharatanatyam dance. The nayika (heroine) gets ready for her lover by having a scented bath; smearing sandal paste on her skin; lighting incense; chewing on fennel; and braiding jasmine into her hair. The south Indian avatar includes a base note of Medimix, my favourite herbal soap, and some coconut oil in the hair. If this makes us smell like a mobile “Hot Chips” shop, we are happily unaware of it. Coconut oil is hardly the siren scent to attract your beloved, but if the beloved in question is hungry, there is nothing like it to bring her or him home. Things changed in the 1980s. Fresh from travels abroad, we took to spritzing scents. The readers of this paper probably bought Joy, the cult fragrance from Jean Patou with its rich jasmine base. Then they graduated to Poison, Chanel No. 5 (who can forget Marilyn Monroe’s response when she was asked what she wore to bed. “Why, Chanel No. 5 of course,” she replied), Opium, Pleasures and J’adore. I use Carolina Herrera because it is relatively reasonable (under `4,000, 100ml, for the eau de parfum), smells of jasmine, and is available in Indian duty-free shops. Now, it seems, global perfumers are circling back to India for their scents. The next big thing in perfume, besides Oudh, is champaka flowers. Ormonde Jayne, a perfume house I admire, has Champaca perfume (£80, or around `6,460, for 50ml parfum); and Tom Ford, known for his fearless use of intense scents, has a Private Blend Champaca Absolute (£146 for 50ml). Even Rei Kawakubo, who prefers quirky (think tar instead of florals) to straightforward, has launched a Luxe Champaca for her Comme des Garçons line (£174 for 45ml). These perfumes aren’t cheap, but neither are they—by the standards of global perfumes—very expensive. Why not, I thought, source champaka (or champaca, as these fragrance houses are spelling it) locally? A search on “Champaca Absolute” helped me shortlist three Indian perfumers, all of whom sold champaka on tap, mostly to the export market. I emailed all three of them and got an almost instantaneous response from Rajat Mehrotra of Meena Perfumery in Kannauj, Uttar Pradesh. In my email, I had asked for the prices of my favourite Indian scents: jasmine, tuberose, kewda, sandalwood and to that, I added champaka. Mehrotra’s email listed the “best possible price” as follows: Champaca Absolute: `1,45,000 per kg; Jasmine Grandiflorum Absolute: `1,40,000 per kg; Tuberose Absolute: `1,82,000 per kg; Kewda Absolute: `1, 90,000 per kg: and Sandalwood oil: `76,000 per kg. I asked if they could sell me the stuff in 10ml bottles. Mehrotra hesitated, saying that their usual minimum was 100ml. When I told him it was for an article, he agreed. The total cost of 10ml of all of the above was `7,450 including `120 for shipping. Not cheap again, but about what you would pay for an eau de parfum from a global brand. There was no price reduction when I revealed I was a journalist. They threw in a Rus Khus, which cost `450, but they were going to do that anyway when I whined about their high prices. 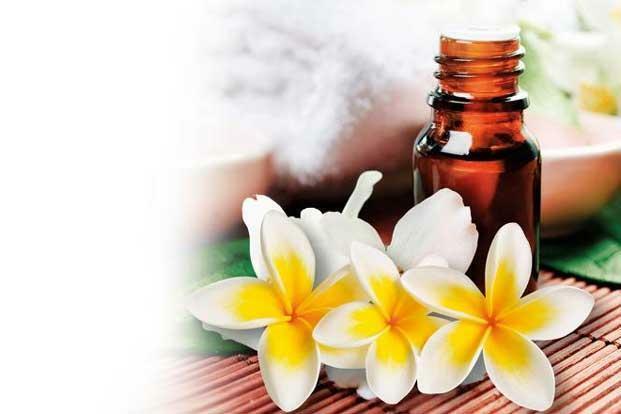 Lala Jagdish Prasad and Co. in Kanpur, Uttar Pradesh, is listed as a manufacturer and exporter of natural organic essential oils. Their managing director, J.K. Saini, wrote back with this quote: Champaca White Absolute: `2,20,000 per kg; Jasmine Absolute: `1,20,000 per kg; Tuberose Absolute: `3,20,000 per kg; Kewda Absolute: `2,80,000 per kg.They were unwilling to send me 10ml, so I will have to wait to order a 100ml bottle from them once my supplies run out. I will probably order their Jasmine Absolute, because its price is lower than Meena Perfumery’s. Tuberose and Kewda are the most costly scents. Kazima Perfumers sells Red Champaca Absolute on its website for $250 (`13,665) for 50ml. Its prices are in the broad ballpark of the other two perfumers. Mueen Khan from Kazima was also responsive by email, but somehow, we got stalled. He emailed saying that he would give me the best possible price depending on the number of bottles I ordered. I felt cheap about asking for just one bottle, so I didn’t reply. That was how we got stalled. I will probably buy from them in the future. So why is Absolute so expensive? Perfume houses use terms like “solvent extraction” versus the steam distillation method used for normal essential oils. Think of it as a giant hand squeezing kilos and kilos of kewda flowers into a bottle. Except that you add some organic hexane to help this imaginary hand squeeze out the fragrance; and then you have to remove this chemical compound in the end. How does absolute champaca smell? Not so great. Perhaps normal noses—such as ours—are not equipped to smell the great pulverizing layers of fragrance that come from absolute. Typically, European perfume houses buy these absolutes from India, then mix them with lighter florals and spices to give some structure to these scents. Smelling my 10ml of champaca was like being under a bulldozer which rolled a tonne of champaca flowers over my head. It was like Charlie in the Chocolate Factory. Next time, I will order essential oils instead of the absolute; they will probably smell better. Essential oils too can be diluted with a carrier oil—sweet almond oil is a good option, as are wheatgrass and jojoba oils, both of which I source from Falcon Essentials in Bangalore (google all these names for contact details). Mixing your own scent isn’t easy. You have to transfer money in full to these Indian perfumers before they will ship their stuff to you. You need to be comfortable with using oil instead of moisturizer. But if you get past these hurdles, you will be using perfume in a customized way to express your mood of the moment. It isn’t hard once you have the system down: place order, national electronic funds transfer and the package arrives. Mix with carrier oil. Use every morning just before a hot bath. Smell like heaven. Last weekend, while buying flowers for a party at home, I fell in love with tuberoses all over again. What a knock-out fragrance! I went to Facebook and said that when I die, please bring tuberoses. (I’d welcome a bouquet even when I’m alive, too.) Tuberoses are next to impossible to find in Goa’s markets. Apparently, there is “no demand”. The frangipani falls from a tree next to our house where ignorant drivers rudely brush off that slice of heaven from their windshields. In my dreams, I’d sleep under that tree, waking to that impossible fragrance and that incredible buttery yellow centre peeking at me. Lovely article, Shoba. Bet your house smells lovely right now. Thank you, Chryselle. I see that you too are in the “when I die, do this” mode. Me too. I got the idea from Gerald Durrell’s My family and other animals. You must read that book.What a lovely frangipani image. Thank you.